Many associate Peru with Machu Picchu. 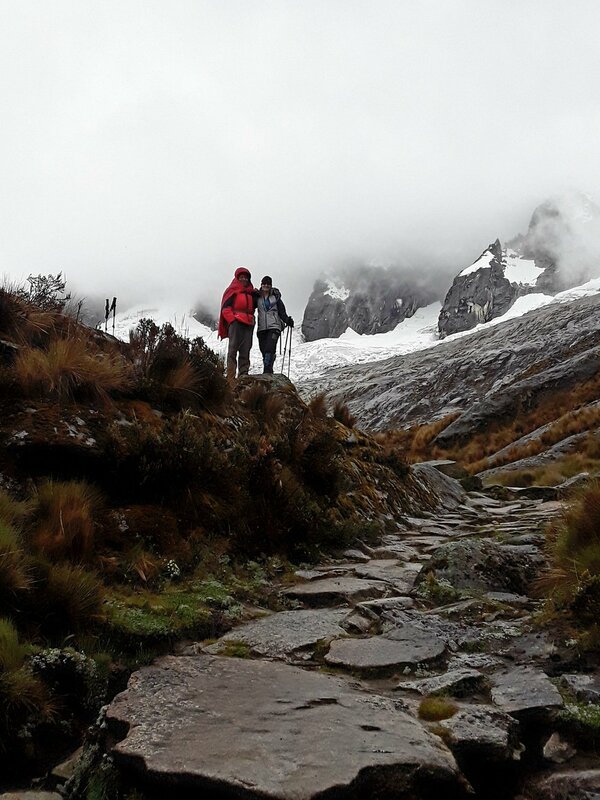 However, Peru has more to offer hikers beyond just the famous Machu Picchu and the Inca Trail. 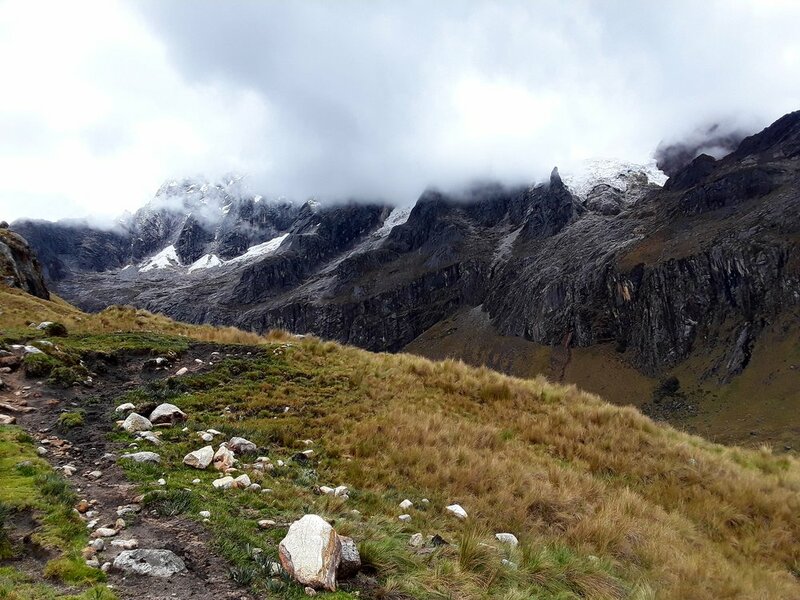 In fact, a lesser known region called Cordillera Blanca gives its visitors a feast to their senses with its world-class landscapes. Cordillera Blanca, dubbed as the Peruvian Alps, has been on my list for a while now. I've seen gorgeous display of photos of its lakes and snowy mountain peaks. I knew I was meant to go. 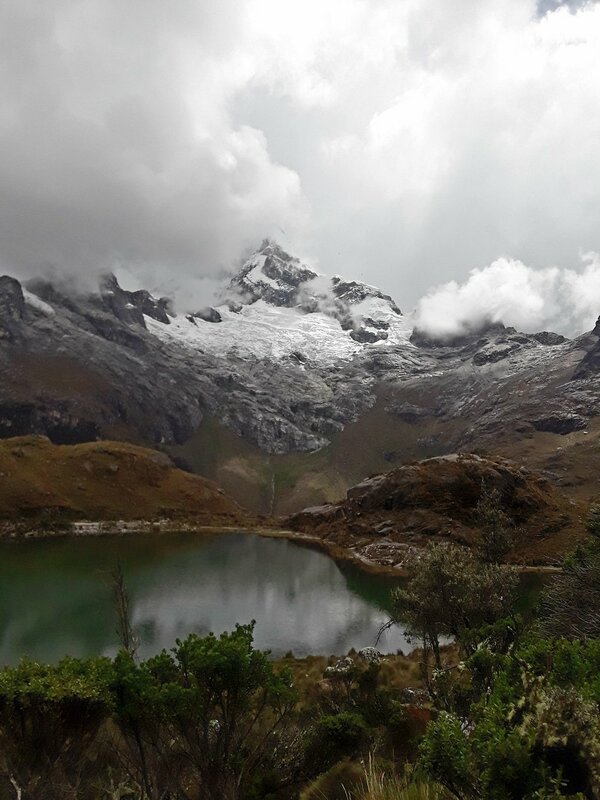 As part of a scouting trip via my social enterprise, Peak Explorations, I managed to finally visit Cordillera Blanca in November of 2017. 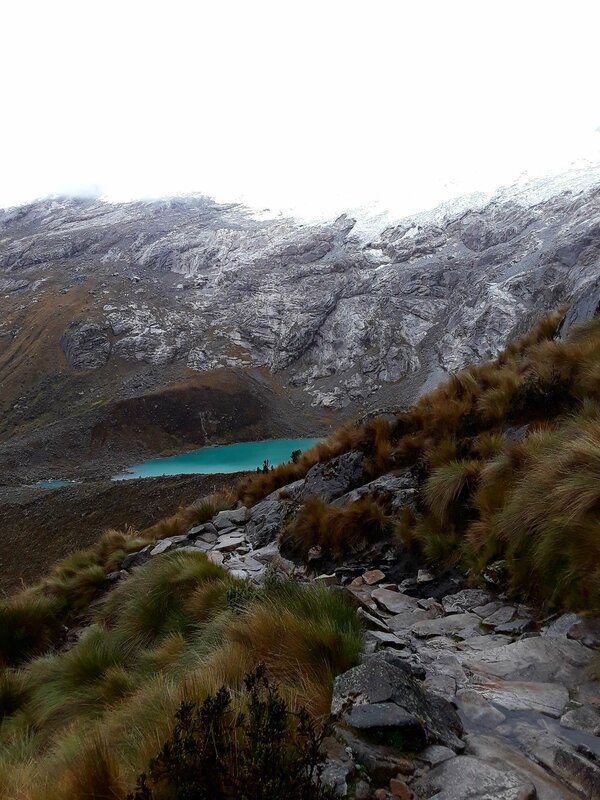 Cordillera Blanca, known locally as Huascaran National Park, is located north of Lima. 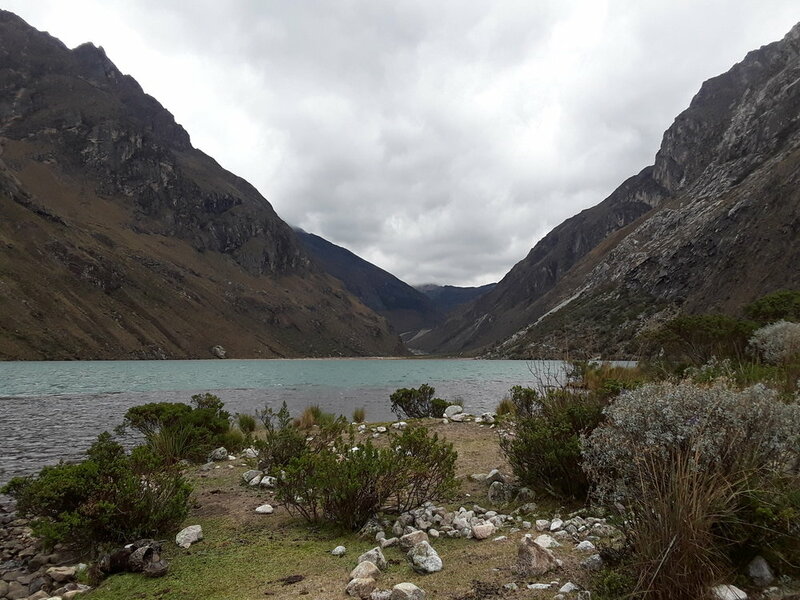 To get there, one must take the eight hour bus ride from Lima to Huaraz which you can do during the day or at night. In my case, my client and I took the day bus to enjoy the mountain scenery along the way. There are many options to choose from in terms of buses. 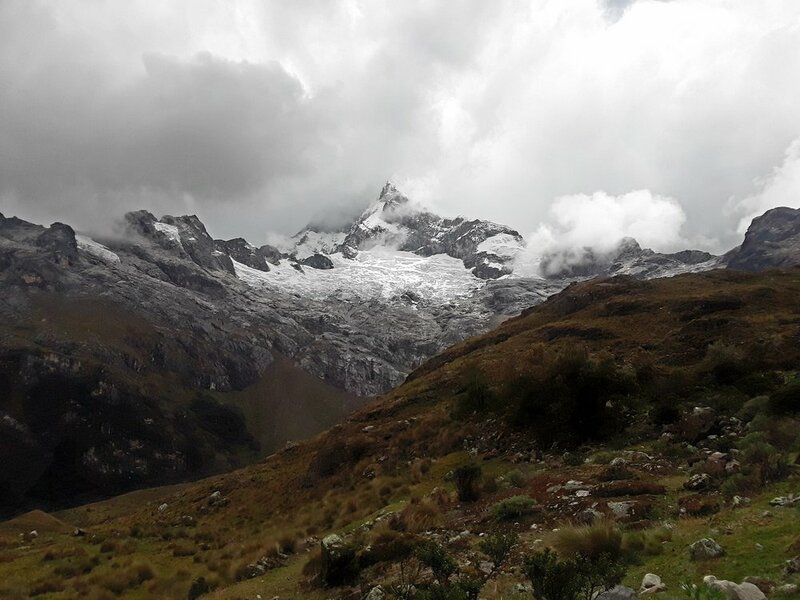 We took Movil Tours which departed around 10 am and arrived in Huaraz around 6 pm with one lunch stop along the way in the town of Barranco. The one way bus ticket was 40 soles. The bus showed American movies with a toilet on board for convenience. 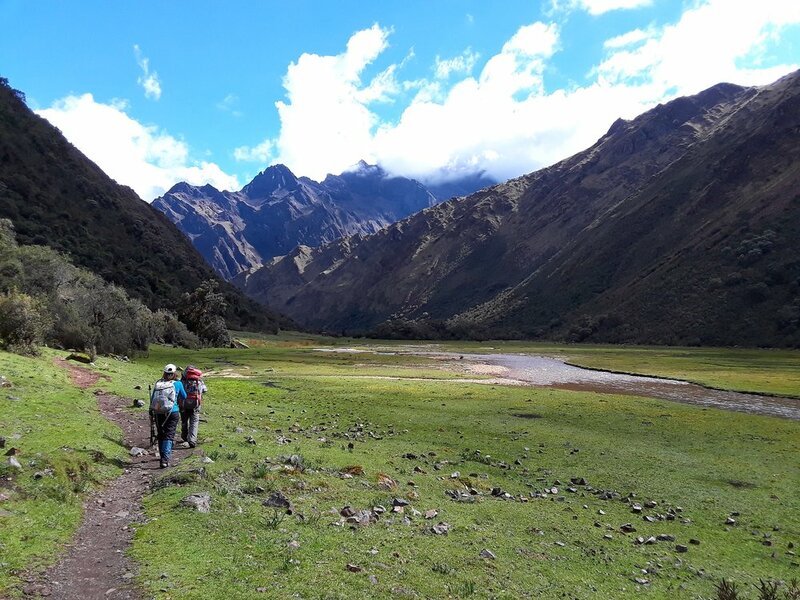 Along the way, you'll pass by the shores outside of Lima as you begin to work your way through the mountainous Andes region of Peru. 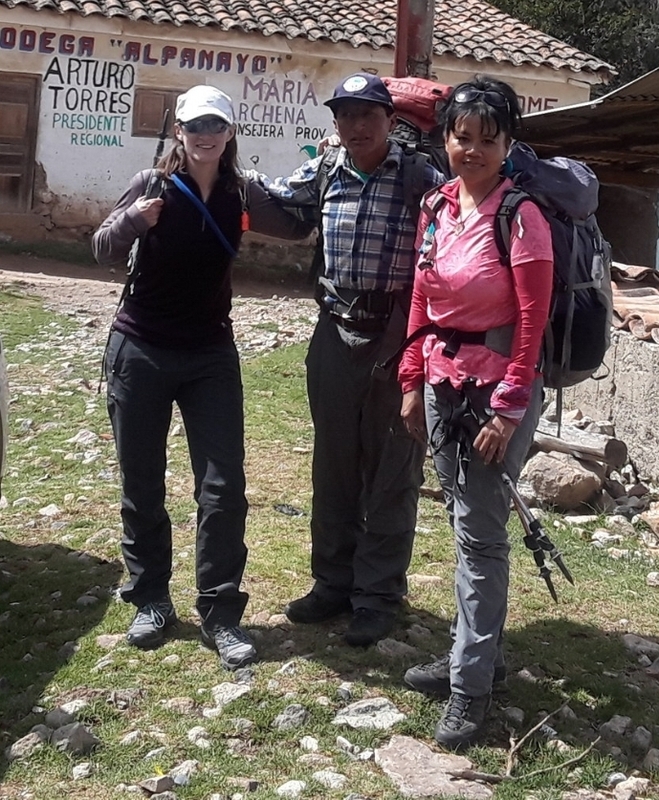 Upon arrival in Huaraz, we were lucky enough to stay with our host who happens to be the family who I am exploring to partner with to promote the trekking tourism in Huaraz. We stayed at their apartment building where my client and I had our own private rooms. This was going to be our home for the next two weeks as we explore the trails of Cordillera Blanca. 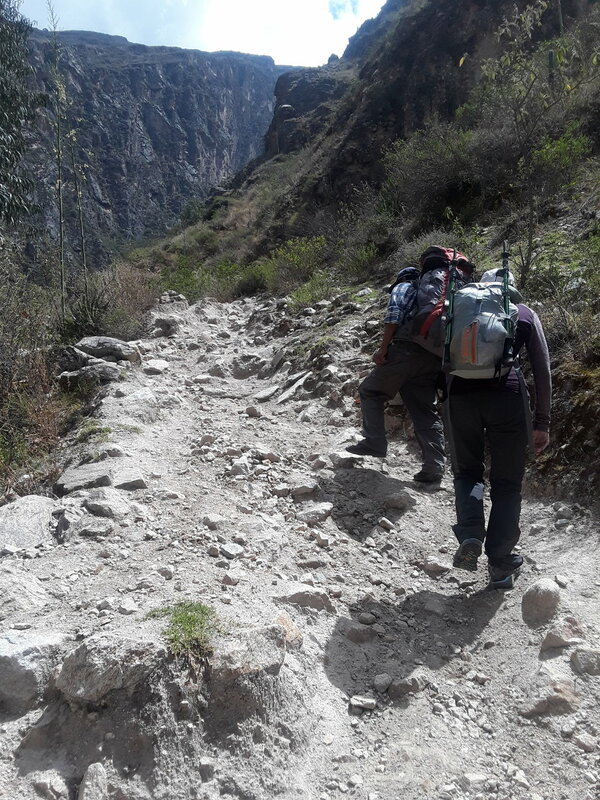 As for the trekking itinerary, I had already planned for us to do the 4 day Santa Cruz trek. 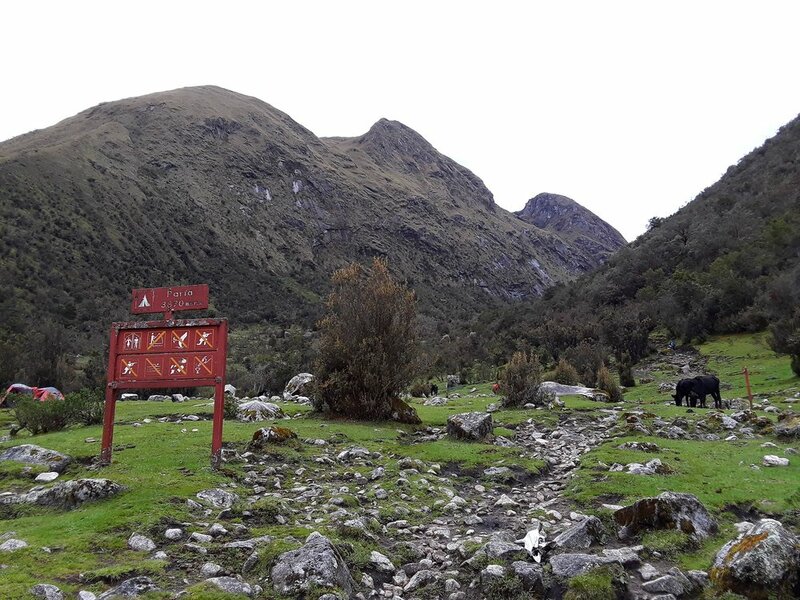 I initially wanted to do the longer trek, Huayhuash, but since we were visiting during the low season and the fact that we were now in the rainy part of the year, our host advised against doing Huayhuahs which took 8-10 days to complete. Of course, Santa Cruz trek didn't disappoint. We did the classic itinerary for Santa Cruz trek starting in the village of Cashapampa. It's possible to do it in reverse but the classic version allows for an easier means of acclimatizing with the altitude. It also turned out to be a nicer route as you leave the best parts in the end. 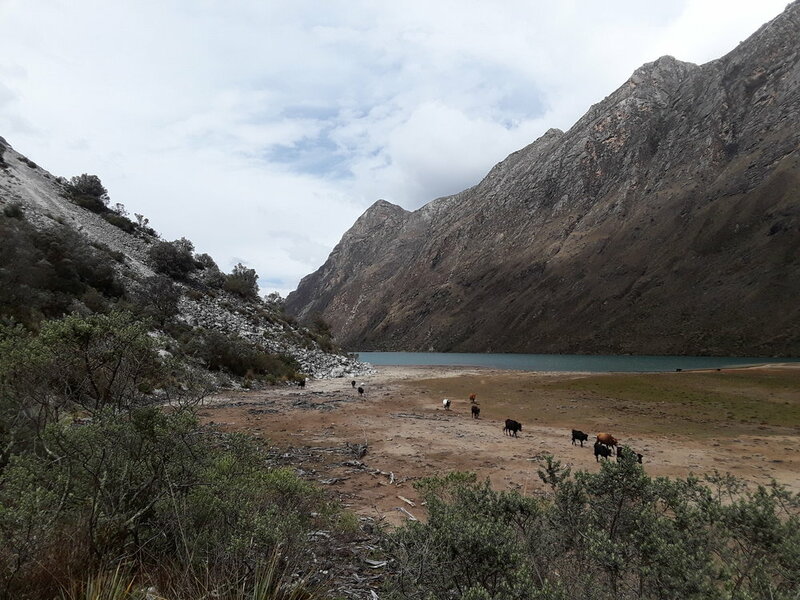 Day 1: Huaraz private transfer to the village of Cashapampa at 2900 meters. Trek to Llamacorral for overnight tenting. 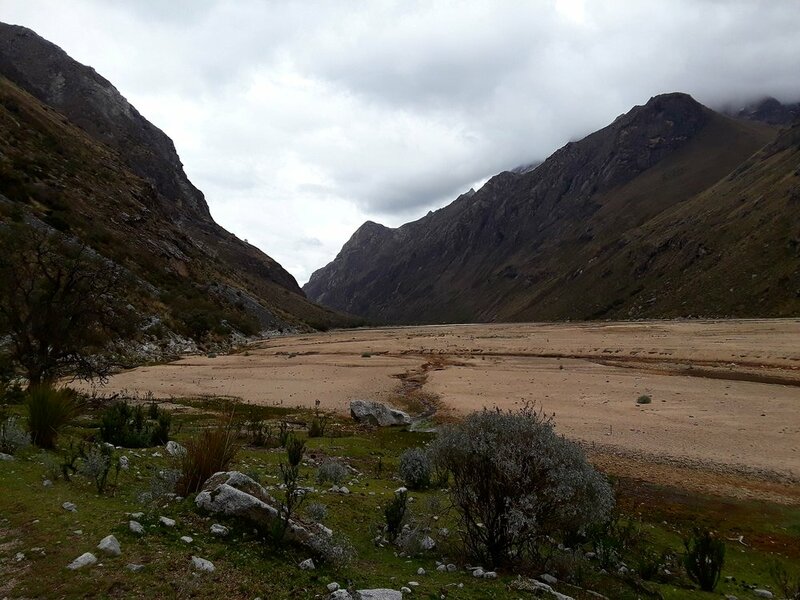 The drive to Cashampa took us about a little over two hours from Huaraz. The drive itself affords you great mountain scenery along the way. At Cashapampa, our guide, Juventino, assembled our donkeys and donkey guide. 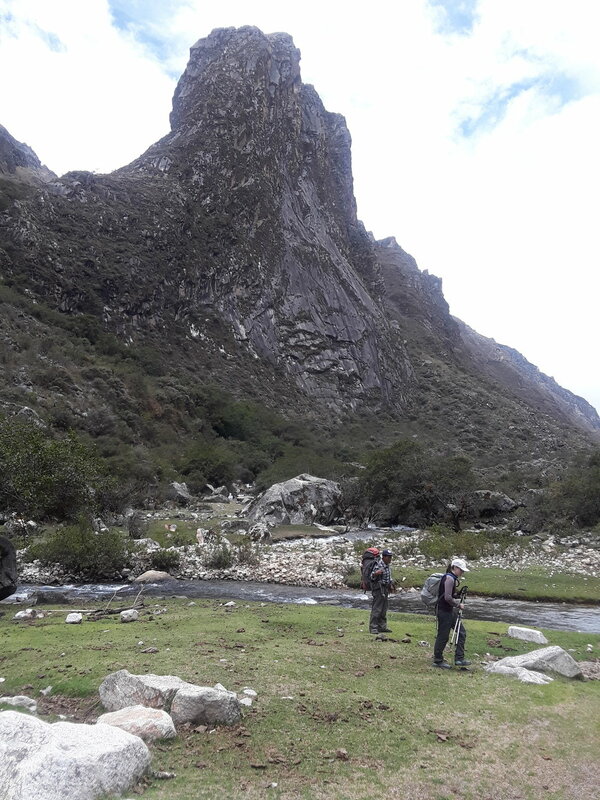 From there, we worked on our 900 meter climb towards our first campsite, Llamacorral. Despite being the rainy season, we were lucky to have beautiful sunny weather with shady parts here and there. The climb itself was gradual on a well maintained trail. In fact, the entire climbing in this trek felt much easier than anticipated given the trail's gradual means of climbing up. 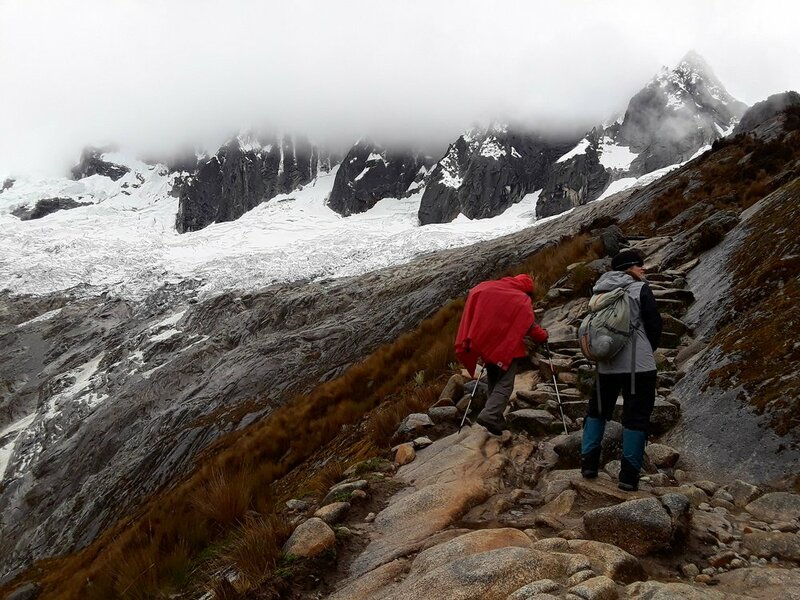 As you go further up, you will start to enjoy the views as they become much more varied and you begin to see the glacier peaks next to the Punto Union pass. We were delighted to be the only ones staying at the first campsite with a beautiful view of the peaks surrounding us. We started our trek a little after 10 am and arrived at our first camp by 2:30 pm. 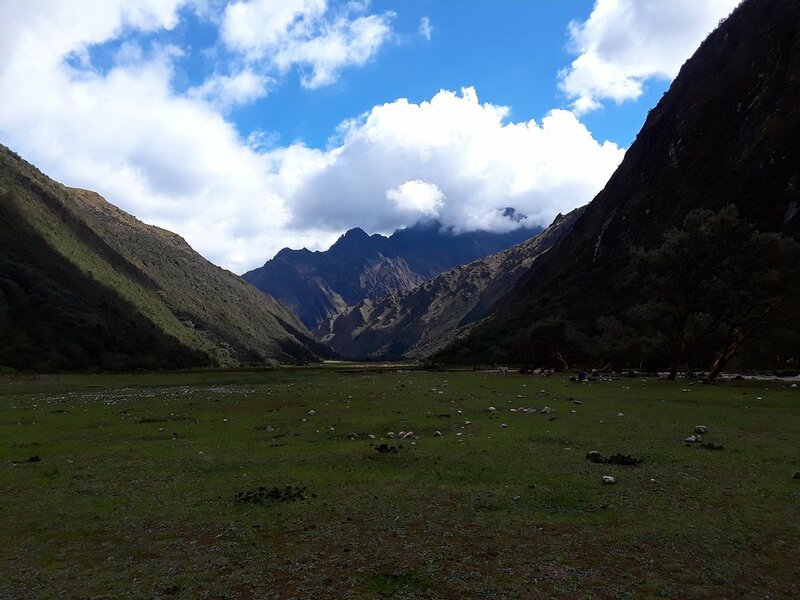 Day 2: Trek from Llamacorral to Taullipampa (4250 m). Overnight camping in tents. 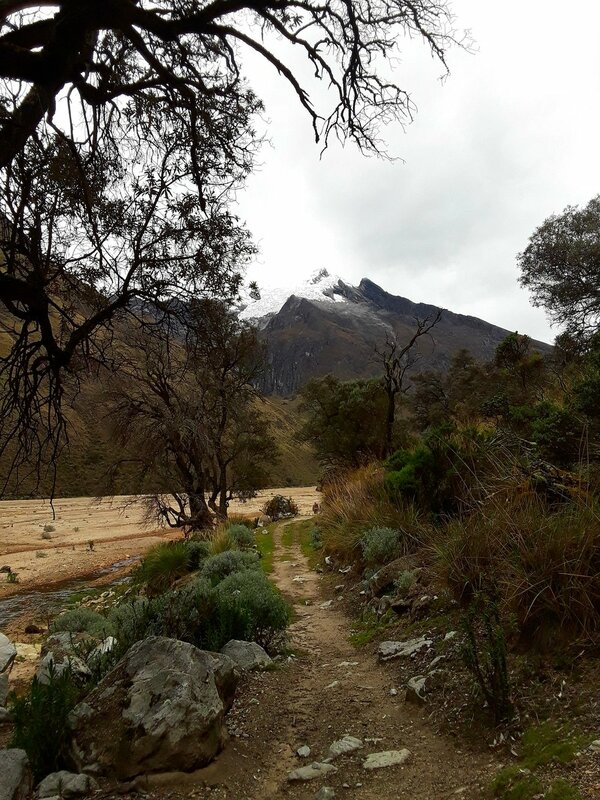 The trek for this day was shorter but quite gorgeous as we started to see views of the Alpamayo range and the surrounding peaks. 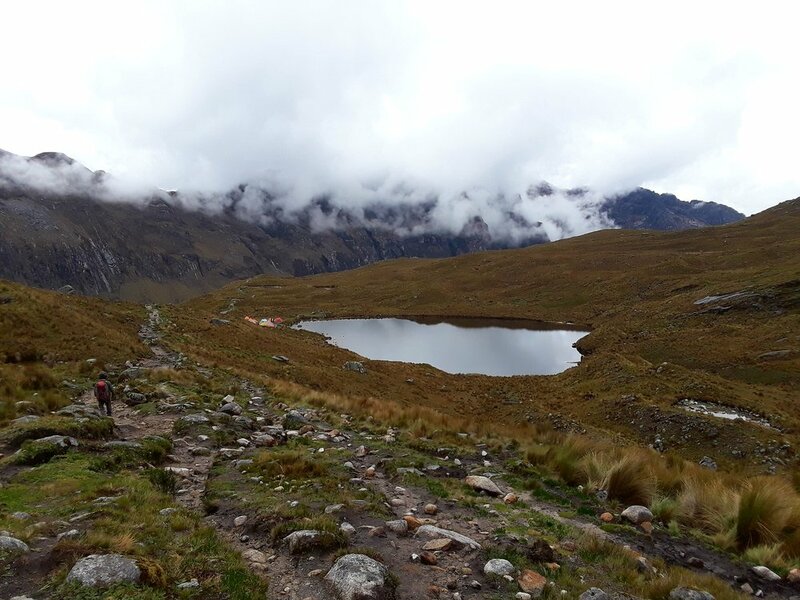 Today, we also started to ascend above 4000 meters; hence we had to forge ahead slowly to manage the altitude gain. Overall, it was a pleasant trekking experience with the views becoming more spectacular at every step. Our camp for the second night was my favorite as it had the view of the Cordilleras from where our tents were situation. 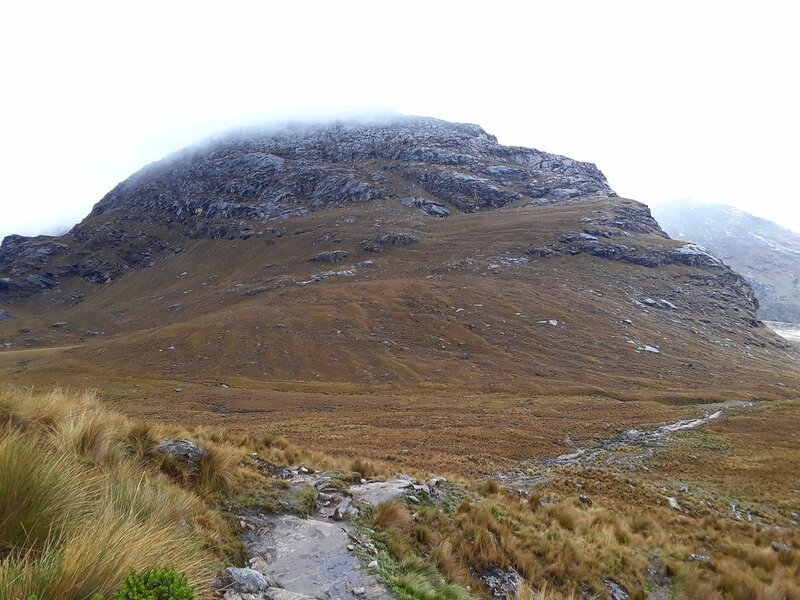 Initially, when we arrived at camp, peaks were fully covered by clouds and we also experienced a downpour. 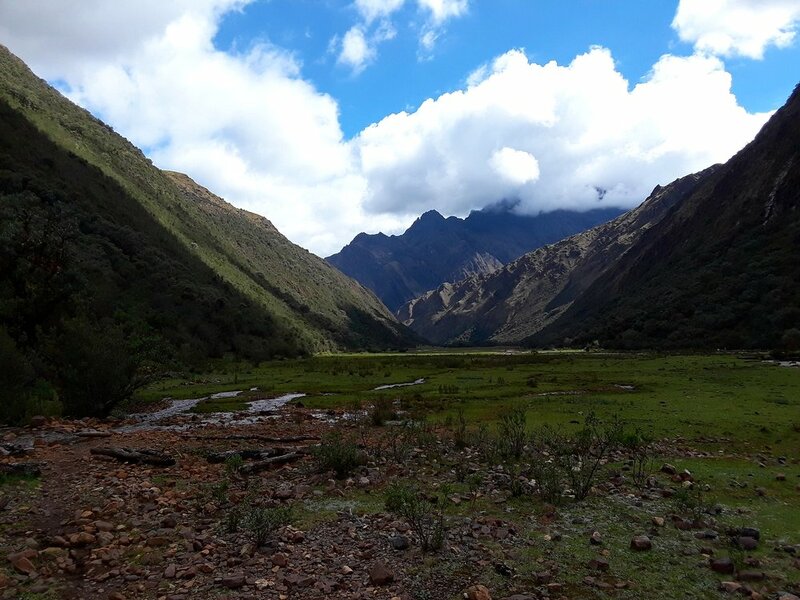 But by 3 pm, the clouds gradually began shifting and we caught amazing view of the Cordilleras from our campsite. 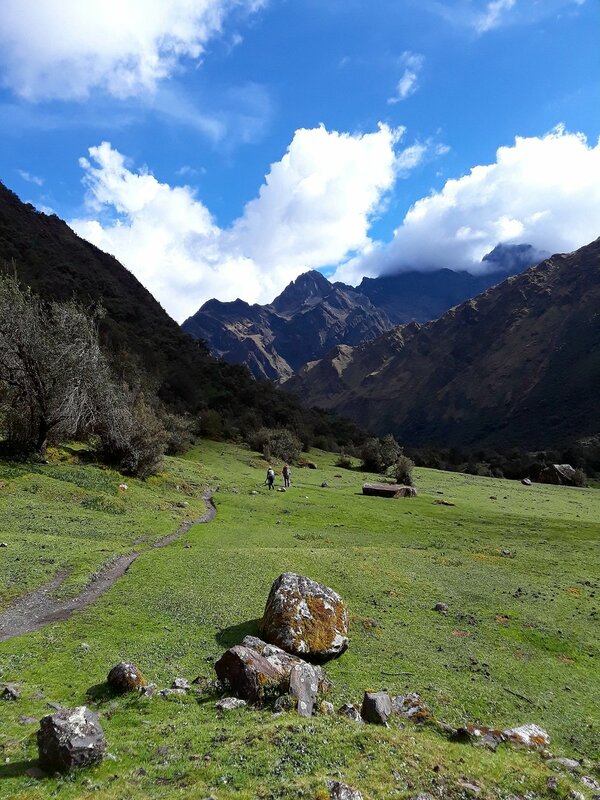 On the third day of trekking, we captured the best landscapes of the Santa Cruz trek. The entire day we were surrounded by gorgeous landscapes and world class scenery. 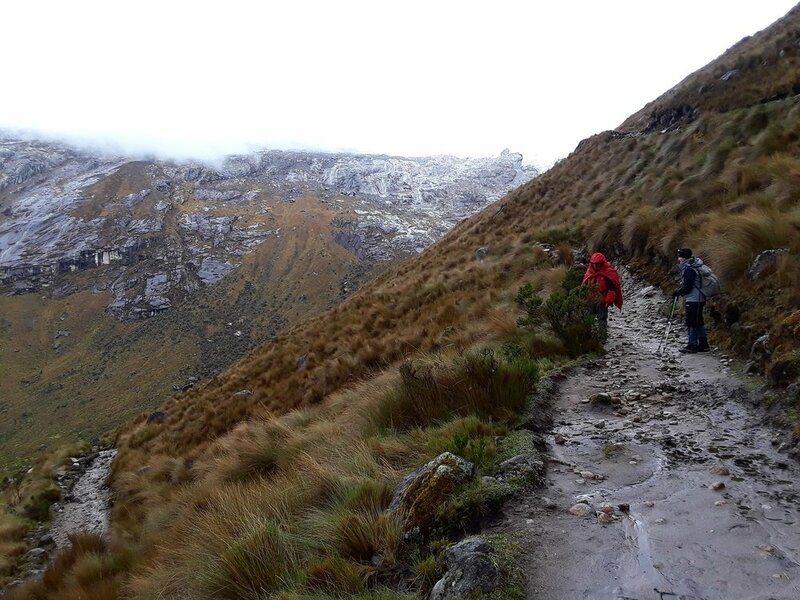 We started with our climb to the highest point, Punta Union, which took about three hours as we soaked in the views that just got better every step of the way. From the pass, we had to descend 1150 meters down, some of which were steep downhills. The descent too a lot more time than the climbing as it took majority of the day. But the views were amazing! 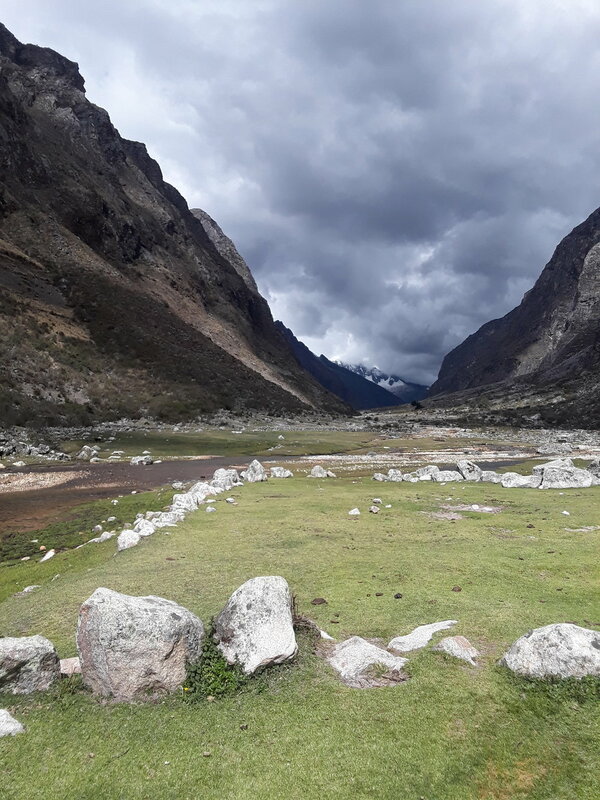 From glacier peaks to meadows to grassy lands with horses roaming and even some parts that resembled the landscapes of the Cusco region. This day proved why this trek is world class! You just have to see it for yourself. Eventually, we finished around 4:30 pm at the refugio outside the park. The private refugio is run by a local family and they charge 20 soles per bed. It was a nice way to end the trek as we slept warmly on a real bed with blankets and pillows. The last day we hiked for about two hour or so to get to Vaqueria. At this point, we were walking through the small villages and climbing up via cowpaths. The last thirty minutes required hiking up a steep hill that serves as a short cut to get to Vaqueria. We arrived in Vaqueria around 9 am. Initially, we intended to take the public bus to get us back to a main town where we were supposed to get picked up by our private transport. Instead, we were informed no public bus was running that day so our guide managed to get us a private shuttle to get us back to our next stop. 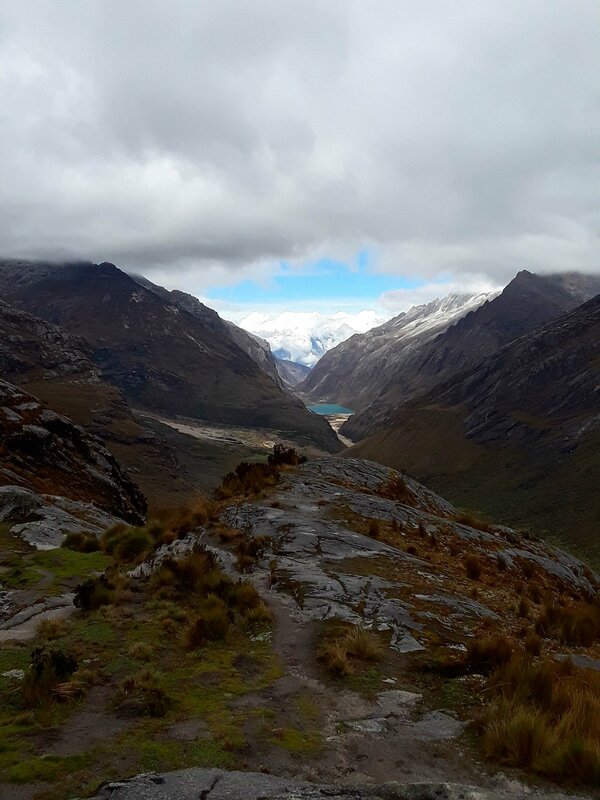 It turns out the route we were taking was a scenic drive within the Huascaran National Park and so the views along the way were actually some of the most spectacular views I've seen in Cordillera Blanca, although it was a bumpy ride the entire time on a dirt road. 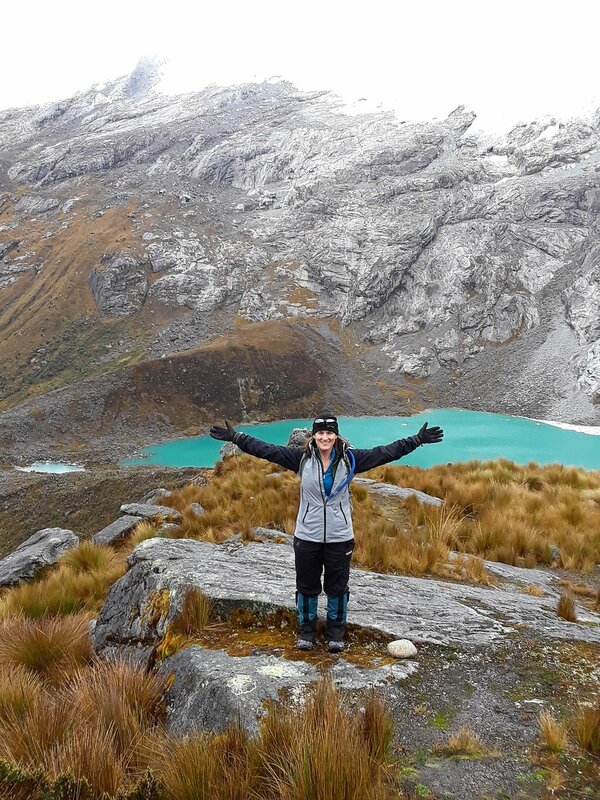 The ride afforded us to get an amazing view of the highest peak in Peru - Huascaran plus the gorgeous lakes combined with the neighboring peaks that are popular for climbing. I would deem the drive out to be the extra icing on the cake for this trek as it was one of the most spectacular mountain drives I've had. 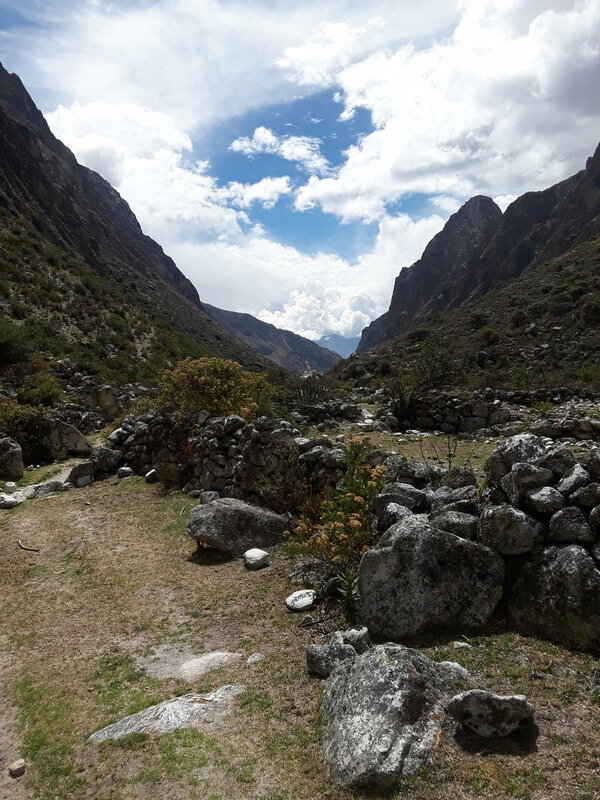 Want to join a group to do Santa Cruz trek? Learn more HERE.